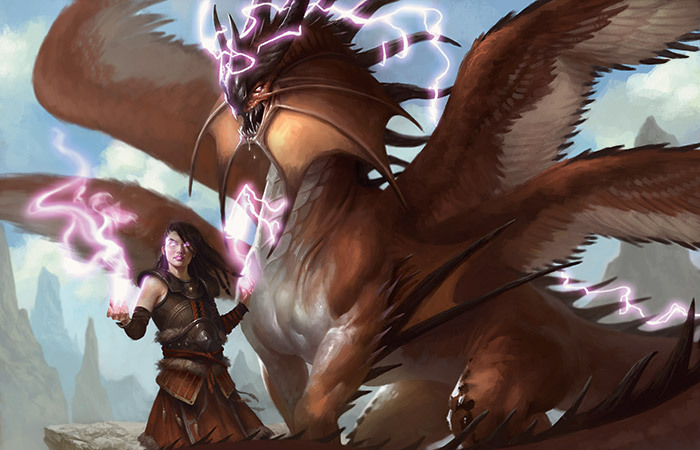 This is the second of two Planeswalker's Guide that describe Tarkir as it exists in Dragons of Tarkir. Find Part 1 here. Reckless and unpredictable like their dragonlord, the Kolaghan take what they want when they want it, including power and dominance within the clan. There is no internal structure to this motley crew of fearsome combatants; they fight among themselves as often as against others. No matter what their target, the Kolaghan strike with the brutality of lightning. Their speed and volatility are represented by their symbol: the dragon's wing. Kolaghan clan members talk of "the crave"—a kind of reckless warrior spirit that spurs them to battle. They speak of it as a nagging itch, a sense of restlessness, an irresistible need to assert their dominance. It constantly grows within them, swelling to the point of frenzy in the presence of Kolaghan's dragons. When they can no longer contain it, they rush into battle with only one goal: to spill blood. Wherever the dragonlord Kolaghan goes, she carries with her the harsh unpredictability of death. Feral and brutal, she enjoys the hunt and the kill more than the resulting meal. The same applies to the territory she seizes from her rivals. Once the assault is over and the land is hers, Kolaghan loses interest. Often she will claim territory only to decimate it with her lightning breath attack, rendering it useless but for the pleasure of watching it burn. Unlike the other dragonlords, Kolaghan doesn't speak, even in draconic. There is nothing she wishes to say that she can't express with bursts of destructive lightning or slashing claws. She pays little attention to the clan that has assembled around her, only interacting to assert her dominance. Despite her hostility toward her clan, they venerate her for her predatory nature, and she knows that she can do as she pleases, for they will forever follow her. Blitz Tactics. Kolaghan warriors can display shrewd tactics on the battlefield, but they have no gift for managing long campaigns. Instead, they rely on swiftness to unbalance and overwhelm their foes. They often take to battle before dawn, streaking out of the hills in packs led by single dragons, slamming into unprepared flanks or unsuspecting outposts. To Ruin is to Rule. 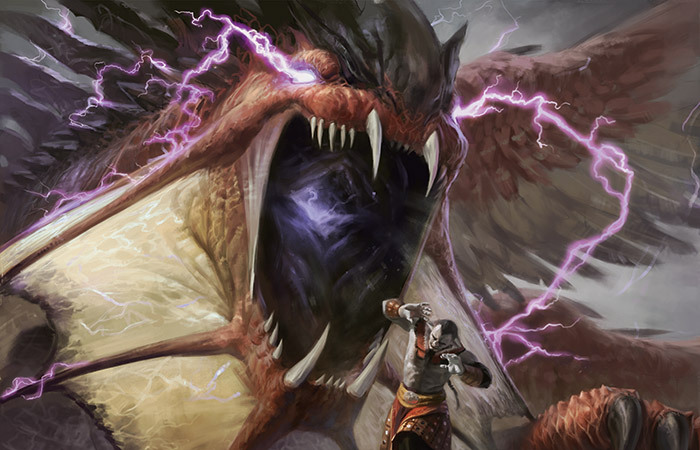 The Kolaghan do not seek to gain power over Tarkir so much as to dismantle the power of others. Disrupting an enemy's plans, destroying an encampment, crushing a celebration of a new dragon—that counts as victory. The Kolaghan pine for freedom, from civilization, from limits, from any form of honor or law. The Kolaghan clan has little internal structure beyond the basic principle of dragons at the helm, and whatever temporary power can be seized in petty struggles for dominance. The dragonlord is a fearsome leader, using violence, cruelty, and her trademark unpredictability to keep the clan in line. 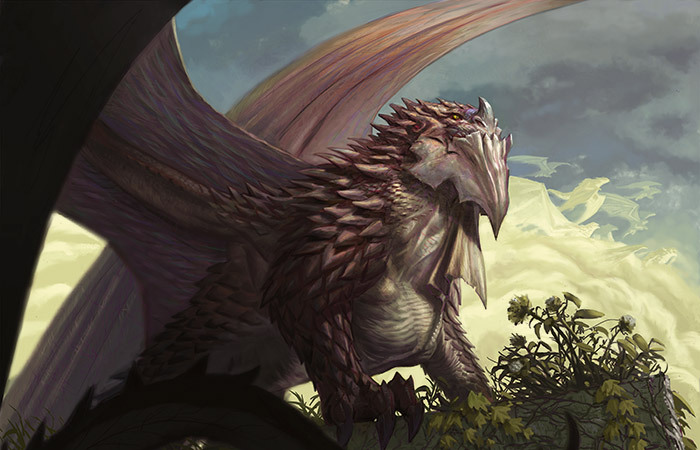 Other dragons of Kolaghan's brood bolt across the landscape of Tarkir, taking prey as needed. Humanoid warriors follow individual dragons but do not have official offices or rank. Bolt channeling. 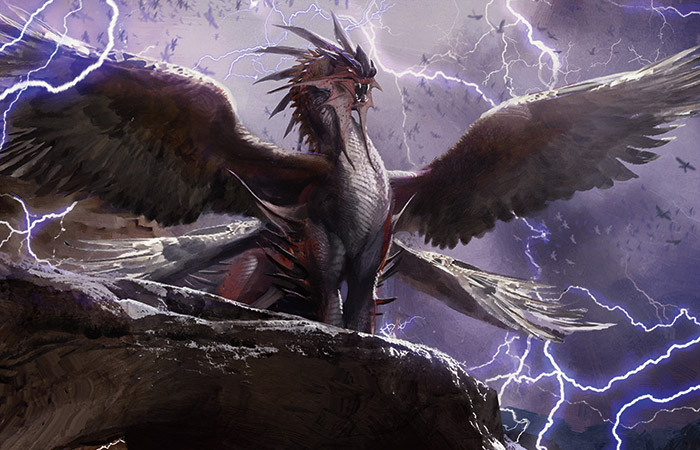 Kolaghan dragons breathe bolts of lightning, and their presence often summons lightning storms from the sky. Kolaghan warriors exploit this chaotic power by riding directly into the lightning, absorbing it with metal rods worn like banners, and channeling it at their enemies. They do not always survive this tactic, but its suddenness can be effective. 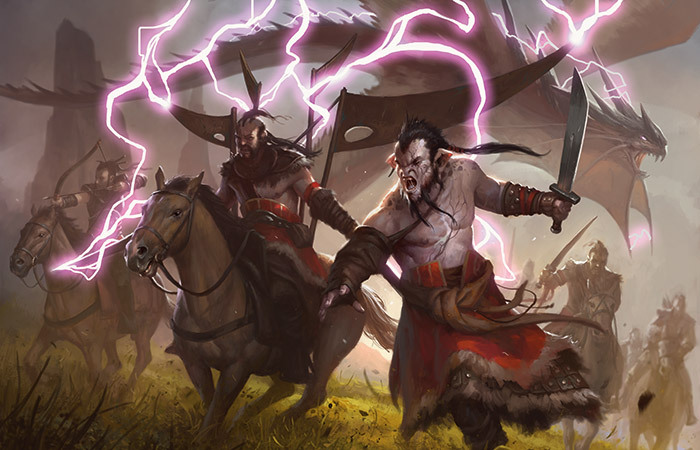 The Kolaghan employ archery less than their Mardu forebears, tending to favor lightning magic instead. The chasm rake. When Kolaghan dragons soar through deep gullies and chasms, they often rake the rocky edges with their claws or clip them with their wings. These collisions strike sparks and leave scars on the chasm walls, creating fearsome displays that scare interlopers. Thunder battering. The Kolaghan have a head-on philosophy of battle, dealing with obstacles by smashing directly into them. Kolaghan riders turn this into an art by weaving lightning into their mounts' gait, greatly increasing their speed and transforming them into veritable, often explosive projectiles. The roar of an oncoming Kolaghan horde sounds like a roll of thunder. Warkites. These aggressive dragons are huge, strong, and battle-scarred. They sometimes attack in spiraling formations, building up howling winds between them, then lay waste to an enemy's position with a wave of scouring debris. Warriors. Almost every Kolaghan warrior is a skilled fighter, but only the most fearless and unscrupulous claim the title of clasher. They often dismount and enter the fray personally, seeming to enjoy killing their foes face-to-face. Shriek Bandits. The clan includes many goblins who steal and loot whatever armor, weapons, provisions, or magic they can get their hands or teeth on. These bandits use ear-piercing war shrieks to stun or distract foes, granting a few precious moments to grab their plunder and make their escape. Blood-Chins. Cannibalism is not unusual among the Kolaghan, and some black-mana-aligned orcs and humans seek out humanoid flesh. They gain strength from their feasting and leave bloodstains on their chins as a warning to their enemies. Blood-chins are a fearsome sight on the dragon-patrolled wastelands. Shamans of the Foul Tongue. Most of the clan's true spellcraft is practiced by shamans. Kolaghan shamans ride solo for long stretches, sometimes following dragons for miles and only joining other warriors at odd intervals. They weave magic in a strange occult tongue, thought to be rooted in Ugin's Draconic language but twisted with centuries of dark intent. 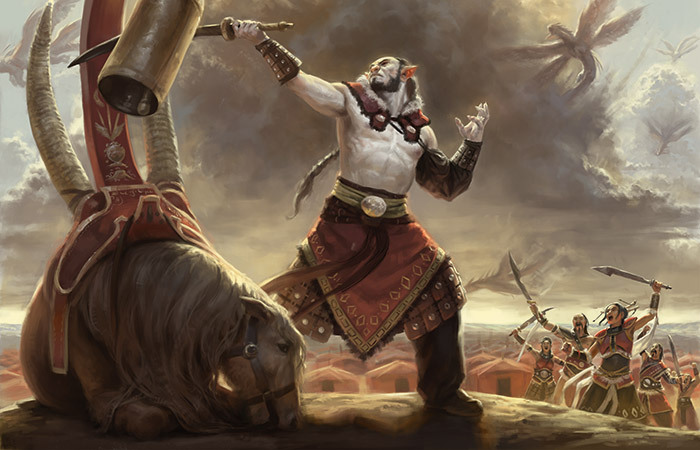 The Kolaghan claim no territory, although there are regions of Tarkir generally regarded as the land of their clan. Screamreach. While Kolaghan and her brood flies where she pleases, the central region of what the Kolaghan would consider their lands are the swamplands known as Screamreach. Zurgo Bellstriker. 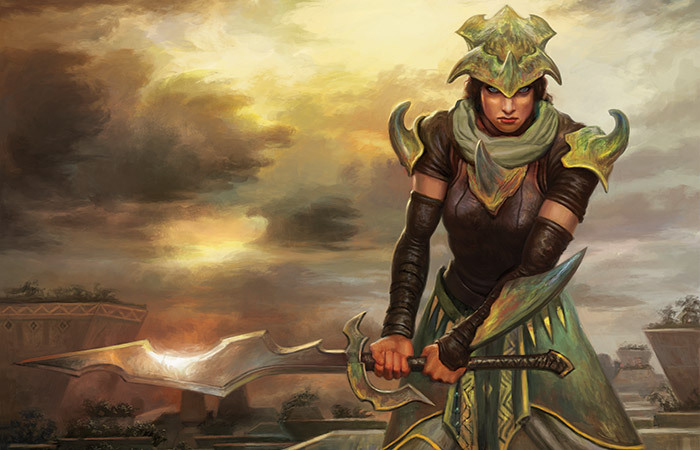 This new timeline has been unkind to Zurgo, Sarkhan's former rival and the other-time khan of the Mardu clan. A huge orc with a short temper, Zurgo has been reduced to serving as an attendant to the dragonlord Kolaghan. Zurgo sleeps shallowly, camping out at Kolaghan's side, always alert for the slightest movement of the dragon. For when Kolaghan stirs to battle, it is Zurgo's job to sound the alarm. He strikes the clan's dragonbell with his greatsword, rousing the warriors to fight. Although his duty is to attend and herald Kolaghan, Zurgo is still an adept warrior. He has his own personal retinue of followers; they would be greater in number if he would cease killing hangers-on or leading his faithful into bloody battles with no purpose other than ensure their loyalty. Vial Smasher. Known in the original timeline as Ankleshank or Ankle Shanker, the Kolaghan goblin called Vial Smasher is a reckless wielder of bottled dragonfire. She keeps a vial of dragonfire on her person at all times, and doesn't hesitate to smash it open and unleash burning death on any who threaten her. So far, she's always managed to escape the ensuing conflagration. Gvar Barzeel. 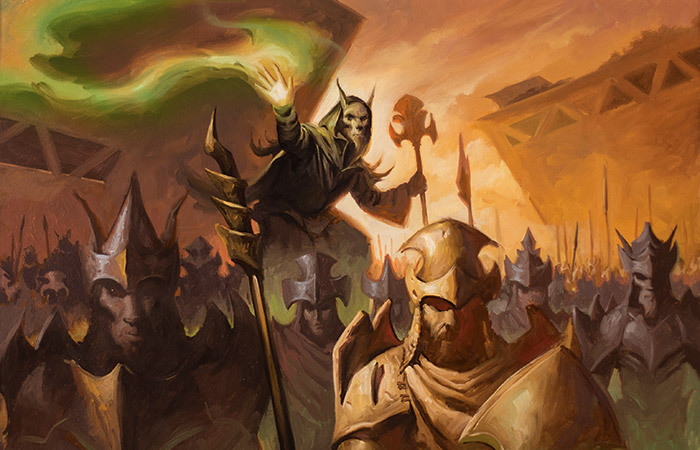 In another Tarkir, Gvar Barzeel—member of a long line of Barzeels, stretching back to his ancestor Urut—was an Abzan krumar, adopted away from the Mardu clan when an Abzan soldier killed his father. In this timeline, there is no krumar tradition among the Dromoka, and he remains a loyal, reverent follower of dragonlord Kolaghan. Gvar keeps other humanoids in line, punishing those too weak bring proper glory to the dragonlord. Provide or become the provisions. This is the way of the clan serving the eternally hungry dragonlord Atarka. 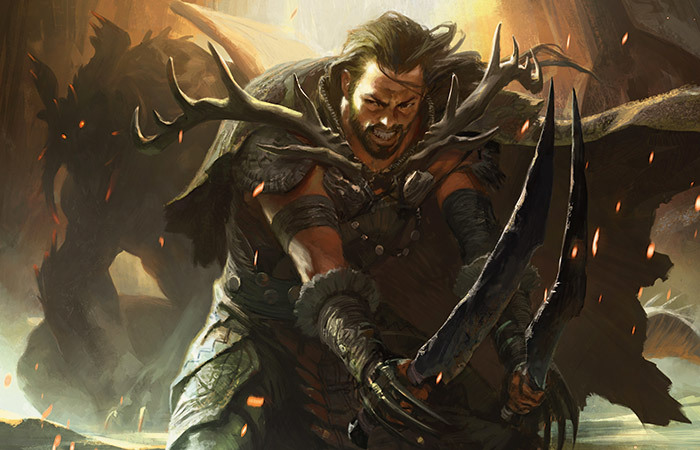 As a result, those left alive are among the most brutal and ferocious hunters Tarkir has ever known. They have proven they are worth more to their dragonlord alive than dead—at least for now. The Atarka's unmatched savagery is represented by their symbol: the razor-edged claw of the dragon. The Atarka live at the pleasure of a dragonlord whose moods are as violent and changeable as their environment, but they do not falter. They have accepted and even embraced their lot in life, and they pride themselves on their ability to adapt to the harsh realities around them. Floods caused by rapidly melting ice are frequent in the clan's mountain ranges; thus, the hunters face sudden and unpredictable shortages of suitable game to feed Atarka. This has driven them to become increasingly nomadic. But the Atarka prefer it that way; they are fiercely independent, and the greatest pleasure they get from a hunt is the knowledge that the kill was theirs alone. Unprompted, the clan would most likely drift apart, as they feel no innate need to convene. However, Atarka demands that the clan assemble at regular intervals to honor her and proffer a lavish feast, which she accepts appreciatively—at least until she has devoured it. The Atarka do their dragonlord's bidding, for they know that if they were to leave her hungry they would soon become her prey. At their gatherings, the Atarka entertain themselves with songs sung around a fire. The lyrics tell of the glory and thrill of the hunt—a hunt to which they long to return. The ultimate predator, Atarka spends her days, and most of her nights, hunting and feasting. To her, life is an eternal banquet and she the lord at the head of the table. Gluttonous and greedy, Atarka hunts whatever and whenever she pleases, and she is not above picking at the leavings others in her brood have overlooked. When she is not eating, she is either considering her next meal or stalking it. There is nothing she will not devour, including those in her own clan. Atarka has no patience for diplomacy or compromise; she considers talking to be a waste of time, silly jaw-wagging performed by food animals. Her preferred method of problem solving is much more straightforward: roar, roast, devour. The only time she finds value in her followers is when they deliver offerings to her plate—or when they "stumble" onto the plate themselves. The Melting Wilds. 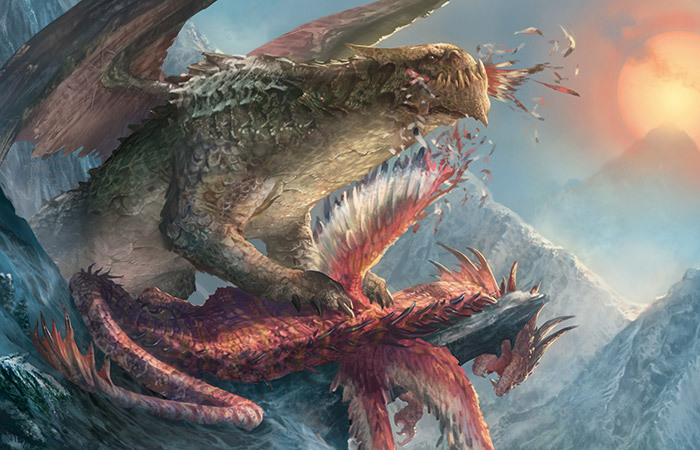 In this timeline, the arrival of the dragon warlord Atarka, and the storms that birth her brood, were accompanied by widespread melting of the icy reaches in the Qal Sisma Mountains, where the clan had dwelt. Many of the mountaintop glaciers are now gone, and sudden floods caused by rapid icemelt are frequent. The clan is more heavily associated with earth and to some extent fire than with water or ice. The changing environment means fewer of the cold weather megafauna now inhabit the mountains. The mammoths were wiped out long ago, the first casualties of Atarka's appetites. However, herds of reindeer have migrated into the area since the warming began and have become a major food source. Larger deer such as elk and moose are also found. Survival at All Costs. These humans are much diminished from the proudly independent survivors of the onetime Temur clan. Now, the Atarka warriors live at the pleasure of the dragon. 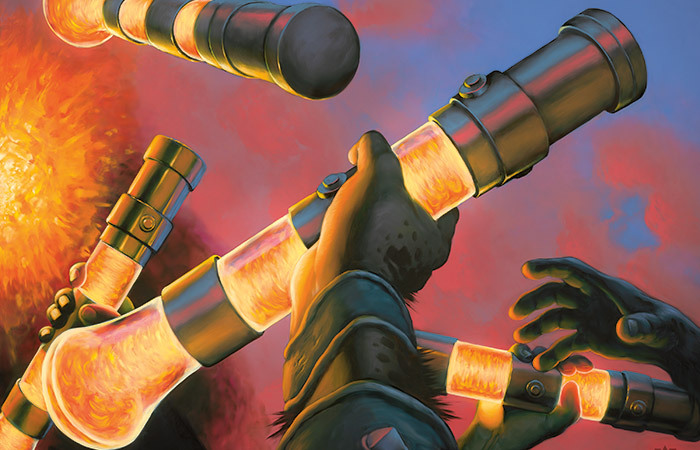 A situation like this would leave most people beaten down and fatalistic, but the descendants of the Temur are made of tougher stuff than most. They did what their folk have always done: adapted for survival. They take steps to ensure they are less desirable as potential food sources. Each human is alive because he or she is worth more thus to Atarka than if dead, usually by providing his or her weight or more in food over the course of a year. Only the finest hunters and warriors remain alive. Hunt to Feed. In this timeline, the clan is even more nomadic than before. The dragon's endless hunger means that an area is emptied of suitable game in short order, forcing the entire group to keep moving. The dragon requires the clan to assemble at regular intervals, to honor her and to provide sumptuous feasts. If they do not satisfy her, they become the feast. When the clan members are not praising the dragon, their traditional tales and songs deal mainly with the thrill of the hunt. The dragon does not generally approve of the clan using any sort of concealment. However, she tolerates camouflage in the service of the hunt. The hunters' fur boots, coats, and gloves now feature quantities of brush and dried grass to help them blend more effectively into the new, snowless landscape. Hidden Traditions. 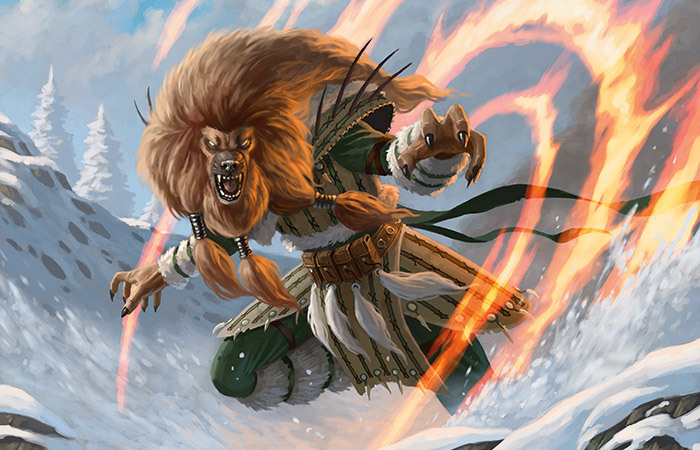 Atarka quickly devoured most of the shamans of the former Temur clan, partly because those beings were not useful for obtaining food, but mainly out of fear of their elemental magic. The few who survive are quietly keeping the ancient traditions alive. They no longer paint the cave walls of communal gatherings but instead use a sort of scrimshaw to record the clan's history and important events. Hunters take a small trophy from the body of an animal before feeding it to Atarka: a claw, a fang, a point from an antler, or a toe bone. The shamans secretly inscribe these items and add them to the hidden "library" of the clan's deeds. Secret Elementalism. Atarka feared the shamans' elemental power, but she did not know about their Wide Whisper—a trance communion with all other shamans. As the dragon's purge began, the shamans warned each other secretly, and the youngest of them survived by hiding their true nature. The shamans dare not call on elementals in battle. Instead, they have been locating areas of elemental power within the mountains and secretly marking them, sharing the knowledge within the Wide Whisper. Dragons. None of Atarka's brood are intellectual giants, but some of them are cleverer than others. They spend most of their time hunting or fighting among themselves. Hunt Caller. This an honored role within the clan and refers to Atarka's chief feeder. The Hunt Caller leads the hunts or raids, but only after Atarka has specified the goal, be it a particular sort of beast to eat or a given treasure to be stolen from a rival clan. She assigns a favored broodling to accompany and keep tabs on the hunters. Within those strictures, the Hunt Caller still has some autonomy. Claw-Bearers. This class of warriors facilitates the hunts by protecting hunting parties and Atarka borders from invaders. These migratory warriors stay on the outer edges of the dragonlord's realms, ready to move their families at a moment's notice to keep Atarka's wilds safe. Hidden Shamans. Those shamans who evaded the dragon's purge do not wear the concealing headgear that marked their status before. The bone trinkets that adorned the elders' headdresses have been secreted away. The shamans now serve as scouts, guiding the hunters and thus making themselves useful to the endlessly hungry Atarka. They use their elemental connections to locate game but hide this from the dragon. They no longer use the elemental power of ice to create ice doubles. Efreet. Atarka conquered Qadat, the Fire Rim, long ago, winning over its efreet with a promise to spread the glory of fire to all the world. Ainok. The frontier ainok are scarce now, being almost as favored by the dragon for food as bears are. Thinner, wolflike ainok still roam the mountains, and they sometimes hunt alongside the humans. They quickly grab a share of the meat and scatter to their dens before the dragon can notice and catch them. Ogres. These warlike humanoids hunt the mountains. The dragon sees them as competition for her food and encourages the humans to attack ogres on sight. This strategy keeps both groups weak and supplies her with lots of meat. Ayagor, the Dragon's Bowl. The cirque of Karakyk does not exist in this timeline, because the dragons never fell. However, the spot where Atarka first settled has become a central gathering place. Known as Ayagor, it is a shallow, high valley whose ice melted completely. It resembles nothing so much as a huge dinner platter. This is no accident. The dragon commands her followers to attend her and to feed her here, where she carefully counts her living possessions. Surrak, the Hunt Caller. Surrak holds the position of Hunt Caller in this new timeline. He is a leader, but he is not the Dragonclaw he once was—that title no longer exists. Atarka was horrified by the honorific, as it was awarded for the killing of dragons; the dragonlord outlawed the use of the title centuries ago. Now, a hunter of all but dragons, Surrak knows that he is expected to kill and deliver any target his dragonlord selects. The more challenging the target, the more pleasure Surrak takes in the hunt. While others in the Atarka clan hunt as a means for survival, Surrak hunts for glory, for honor, and—most of all—for fun. Sakta. There is no one leader of the few shamans who survive, but whoever has the greatest sensitivity to elemental power is the center of the Wide Whisper. The human hunter Sakta is that person. She is extraordinarily talented, despite her young age (she is barely out of adolescence). She often advises Surrak as the chief scout. Arel, Unseen Whisperer. Arel is a dissenter, a human Whisperer who envisions a world without dragons. She sees the dragonlords abusing their humanoid charges, even in clans like the Dromoka or Ojutai where humanoids have more agency. She practices shamanism in secret, hoping to amass support to free those who wish it from Atarka's rule. The Dromoka are a true community, dragons and desert survivors bound together by their common allegiance to their devoted dragonlord. The clan embodies the draconic aspect of endurance, and their symbol, fittingly, is the dragon's scale. The same scale is woven into the armor they wear to battle, granting them protection. They march in close ranks and fight with the support and cooperation of the dragons in Dromoka's brood. 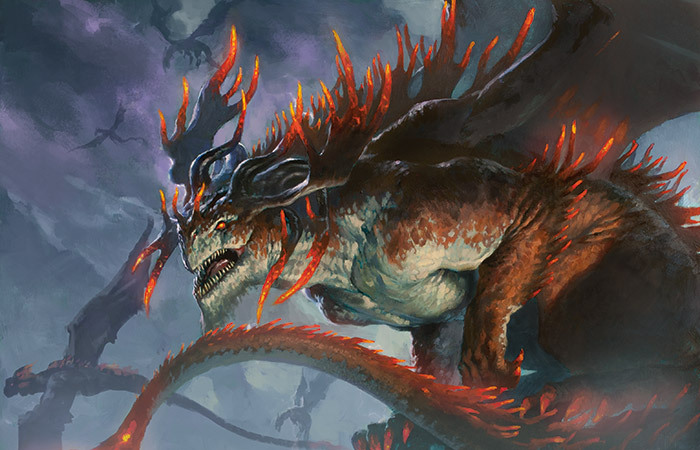 The interdependent and familial relationship between Dromoka's dragons and the others in the clan is seldom seen elsewhere on Tarkir. The dragons are unquestionably dominant, but it's widely acknowledged that the labor and talents of others are essential to the clan's survival. Those in the Dromoka clan value endurance and honor above all else. They endeavor to live long lives, and aim for their deaths to have purpose—purpose that benefits their dragonlord. The dragonlord Dromoka is, in equal measure, a merciful and imperious leader. An ancient and powerful dragon, she has earned every inch of the territory she commands. In battle, she does not hesitate to unleash her breath weapon, a beam of scouring light, to obliterate those who dare stand against her. Thanks to her many years spent enduring the harsh desert climate, she has learned the patience of a survivalist. She believes that the other, lesser clans will wither and fall eventually, and that only those under her protection will be strong enough to endure. Dromoka is closely involved in the affairs of her clan. She frequently roams her territory, communicating with her draconic overseers and the highest among their underlings. If she finds the state of an aerie to be satisfactory, she flies on. Should she find weakness, however, she does not stand for it. If possible, she will attempt to rectify the situation; if not, she will summarily devour the weak link. Either way, when she departs, the clan will be better equipped for survival. Honor. Warriors of the Dromoka clan value survival and honor above all else. The humanoid ideal is a long life and a death with purpose, all for the benefit of dragons, whom they call the Scalelords. 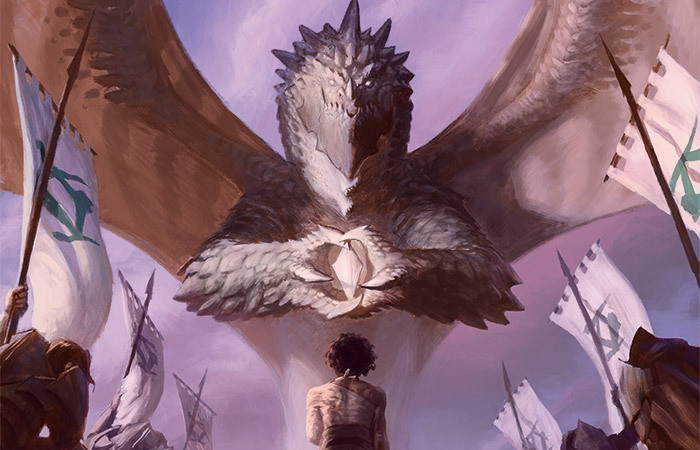 In return, the dragons use their superior fortitude and long experience to protect their humanoids against hostile dragons and other extraordinary threats. Family. Just as the dragon Dromoka rules the clan, her lessers among dragonkind sit at the head of "families"—organized groups of humanoids bound together by loyalty and mutual protection rather than common ancestry. A family is defined by common attachment to a particular Dromoka dragon and common habitation in one of the clan's enormous aeries. Although they contain a mix of unrelated people, and often a mix of species, these families are very real to the Dromoka clan. Ainok, humans, and aven call each other brothers and sisters, helping each other survive in their harsh desert environment and marching in common defense of the dragons. Within each draconic family, humanoid children—ainok, aven, and human—are raised communally. Young children are often traded among families, moving to another aerie away from their birth parents. To outside eyes, the Dromoka seem like a clan of orphans, but members would say that among them there are no orphans. The clan is the only parentage they know, and to them, the clan can never die. This system of exchange removes the notion of inheritance by blood. Thus, every humanoid starts out on equal footing, and advancement in the clan is strictly meritocratic. Promising students rise through the ranks, so every Dromoka battle formation is commanded by a soldier who earned the position through stamina, bravery, and leadership. Draconic Guardianship. Dromoka dragons rarely eat humanoids of their own clan, and in fact actively protect them. Scalelords attend military training sessions in the aeries and attend to the weaker dragons of their own clan. Some Dromoka dragons even allow humanoids to use a small number of their scales for armor, offering practical as well as symbolic protection. Draconic, the Language of Lords. Dromoka humanoids have closer contact with their dragons than most other clans, so they pick up a working knowledge of the rumbling, partially gestural Draconic language. Similarly, dragons who work closely with humanoids are often fluent in the human vernacular. In general, dragons speak to humanoids in Draconic, humanoids speak to dragons in the vernacular, and everyone understands one another. Dromoka humanoids are more likely than those in other clans to incorporate the sounds and gestures of Draconic into their own speech. Survival Magic. Dromoka magic focuses on fortifying and protecting members of the clan—hardening their armor, sharpening and guiding their weapons, and bolstering their morale. Dromoka clan clerics are among the most accomplished healers in the world. Their small but potent arsenal of offensive magic often mimics the blinding-light breath weapon of the clan's dragons. Dromoka soldiers have reputations for being undefeatable warriors in combat. Forbidden Magic. Ancestor magic, once practiced by the distant forebears of the modern-day Dromoka humanoids, is outlawed by the dragonlord as a form of necromancy. A small group of renegades known as spirit speakers practice ancestor magic in secret, clandestinely tracking human bloodlines in defiance of Dromoka's law. Spirit speakers whisper among themselves that hidden among the forests of Dromoka territory are secret "kin trees," holding the souls of ancestors. They tend and worship these trees, knowing all the while that discovery means death. Scalelords. Regal, proud, and protective, the dragons of the Dromoka clan reward loyalty with safety and betrayal with death. They are rulers and protectors, as aloof as any lord from their distant inferiors but aware of those directly below them in the chain of fealty. They fight fiercely on the front lines alongside the soldiers of the clan; even though their own lives are much more valuable, dragons sometimes put themselves at considerable risk when clashing with the other clans. While all dragons are venerated, the Scalelords are the oldest and most trusted of Dromoka's brood. Scaleguard. The Scaleguard are the rank-and-file infantry of the clan, a heavily armored fighting force that can lock shields and stand firm to create a solid defensive formation on a moment's notice. Elite units incorporate dragon scales into their armor, while the gear of less favored fighters mimics the shapes of the scales in ordinary metal. Sunbringers and Sandbringers. Dromoka mages train equally in the offensive and defensive arts. 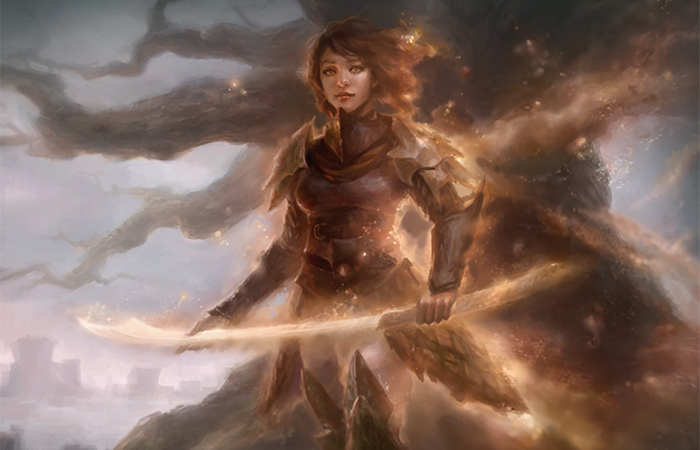 The mages known as sunbringers carefully channel the power of the sun as a warm light to heal wounds and strengthen spirits or unleash it in a blast of searing light. Other magic-users, called sandbringers, follow a magic tradition that originated among the ainok, calling up storms of sand to shield Dromoka troop movements or ravage the clan's enemies. Foremost. Dromoka's highest-ranking soldiers are known as the Foremost. These are the battle-tested veterans who have waged war against the other clans and survived. They are regarded as paragons to the other Dromoka humanoids. They receive audience with the Scalelords and Dromoka, directly receiving the scales of the dragons to strengthen their armor. Aeries. The sand-blasted landscape of Dromoka territory is punctuated by inverted pyramids made of stone. 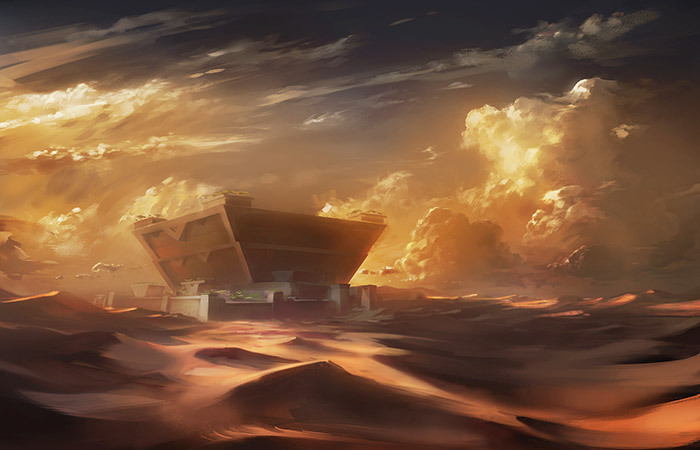 These structures, called aeries, serve as artificial oases and homes for all members of the clan, dragon and humanoid. The aeries are open at the top for easy access by dragons, while at ground level the heavy doors open only when troops march to war. The thick walls and harsh desert keep the Dromoka humanoids in as much as their enemies out—not that most have any interest in leaving. Mobile Roosts. 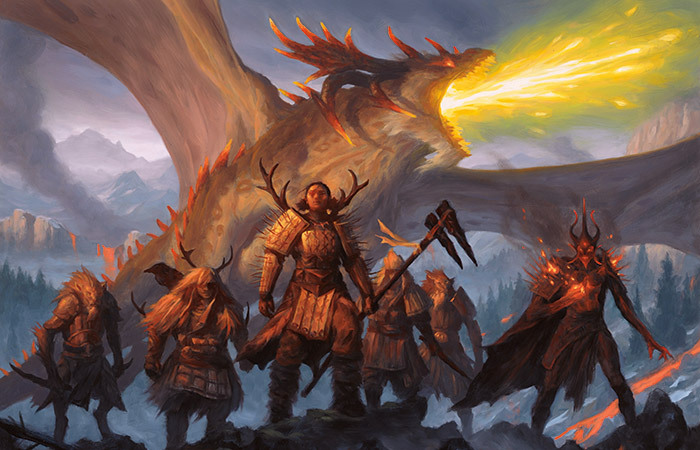 In times of war, the clan's dragons fight alongside its humanoids. 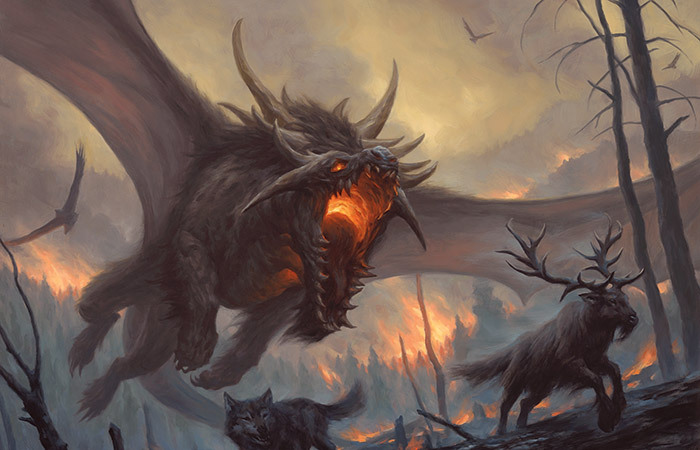 To ensure that they arrive at the battle fully rested and ready to fight, dragons are carried to war on huge rolling platforms towed by enormous beasts of burden. The platforms also carry food and water for the dragons, who can rest or fly as they desire rather than trying to pace the slow-moving columns of troops from the air. Arashin and the Great Aerie. A seat of power since ancient times, the city of Arashin sits atop an outcropping high above the desert. Surrounding the city is the greatest aerie in Dromoka clan territory, a gigantic structure that extends and fortifies the natural defensive position of the hill. The fortress is nearly invulnerable to ground assault, and the sky is heavily patrolled by dragons and aven. Dromoka makes her roost in the Great Aerie, ruling over the largest city in her territory. Economically, politically, and militarily, Arashin is the center of the clan. Aerie of the Unfettered. At the tip of a rocky spire, the Aerie of the Unfettered is the only settlement in Dromoka lands that is home only to dragons. The dragons known as the Unfettered, for a variety of reasons, are owed no fealty by anyone and have no humanoids under their protection. Some earned this status through punishment or circumstance, but many live in the Aerie by choice, simply having no interest in the lives of lesser beings. Although they are still fanatically loyal to Dromoka, the Unfettered stand apart, living much as their pre-clan forebears did. 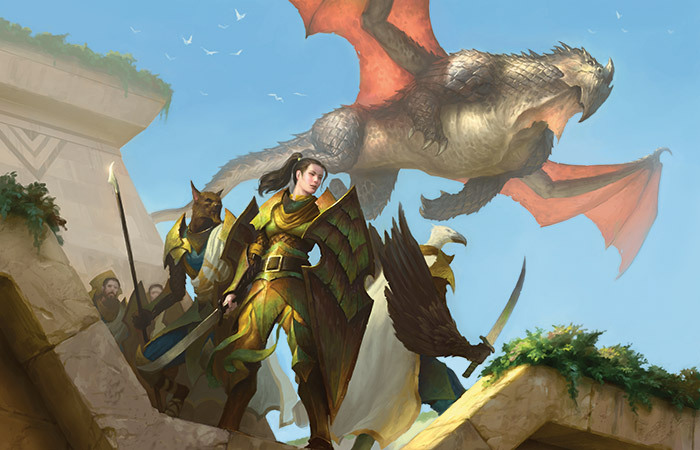 They specialize in fighting other dragons throughout Dromoka territory and high above the ground, without the aid—or encumbrance—of humanoid troops. Salt Road. The Dromoka control the roads through the wastes, including the ever-important Salt Road, which supply lines use to deliver supplies and armaments to Purugir Aerie, one of the Dromoka's frontline centers for war. Anafenza. In another timeline, Anafenza would have been khan, but in this reality Dragonlord Dromoka took her place. Although not an official ruler here, Anafenza was a capable warrior and talented leader. However, she practiced ancient kin-tree worship, and for that she was executed. That should have been the end of it, but Dromoka's armies report seeing a ghostly figure that looks much like Anafenza fighting alongside them and spurring them on in battle. Spirit speakers say that Anafenza must have stored her soul within a kin-tree, so that even after death she could continue to aid her clan. Dromoka disavows the existence of Anafenza's spirit, but remains always alert for kin-trees. Baihir Marza. This ainok is a seasoned mage of the Dromoka, and also a master of both the sunbringer and sandbringer traditions. She can strengthen the bodies and spirits of hundreds of soldiers at once, or summon storms of light and sand to wipe the land clean of the clan's enemies. Commander Faiso. This human is the youngest soldier in a generation to command a legion of Dromoka troops. He is a formidable fighter in his own right, but his true genius lies in military strategy and tactics. 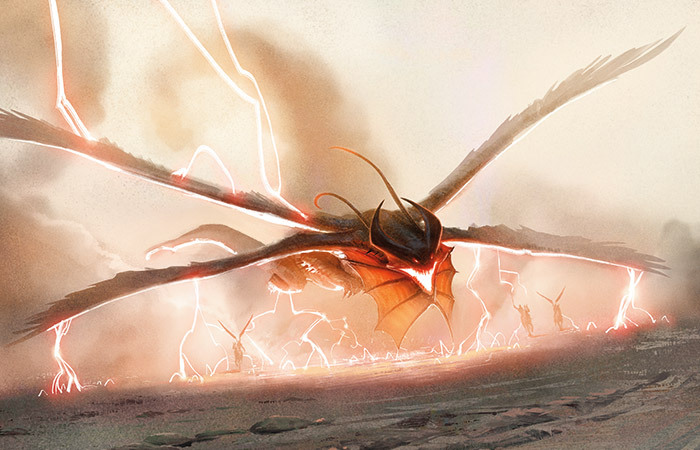 With a preternatural grasp of aerial combat in particular, Faiso has led thousands of troops and dozens of dragons on five successful campaigns. Even the clan's dragons yield to him on matters of strategy, on orders from Dromoka herself. His star is rising, but no one knows how he or his overlords will react when he finally suffers a major defeat.